We have built tiny homes for a wide array of circumstances. One of the most common challenges with purchasing a tiny home can be financing. We don’t currently offer in-house financing, but we would like to make sure our clients have some additional information that may assist in paying for their new home. Depending on where you live, you may be able to obtain conventional financing in the form of a personal loan, a mortgage, or even a loan from a friend or family member. In any case, since your new tiny home can generate not-so-tiny expenses, this is a subject we need to address in our ordering process. A Mustard Seed, the ordering process is broken down into three basic steps. General Quote: This step allows you to see what your dream home can cost. This is usually adjusted for budget and features desired once we determine all the details of the Planning & Design Consultation in step 2 below. Planning & Design Consultation: This is where we handle the details of your needs. Design, plans, layout, veneers and the other details that make this home…yours. From this step we arrive at a contract quote we stand by. In addition we can tell you when we can start your project, and how long it will take to build your tiny house. Ordering: This is where your tiny house build begins to become a reality. Your build is scheduled,contract is signed and the process of creating your unique tiny house begins. If you want to finance your Mustard Seed Tiny House, we recommend a few possible solutions listed below. Also, we have come to understand that Credit Unions like Navy Federal and Postal Service Credit Union have good ways to finance purchases such as tiny homes. So check it out and see for yourself! You may find your local bank is able to help with financing options you can live with. Finally, we have found some good general info at LendEDU. They have some informative content that may interest and help you on your search for finding and preparing your financial portfolio for the perfect loan. These folks seem to specialize in Tiny House lending. Offers personal loans up to $25k. 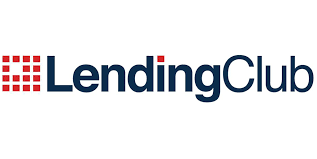 Lending club offers personal loans up to $40k. Alex Pino, owner of tinyhousetalk.com, has written a free book on obtaining financing for your tiny house.